Comments: Phil Cox won a lot of features on the dirt in the late model division and possibly even captured some in the sportsman division...and then became a winner on the asphalt as well! 04/22/03 Todd L Phil is a great driver and a good fabricator too I think he and brother Clyde (also a good driver) run C&C welding. 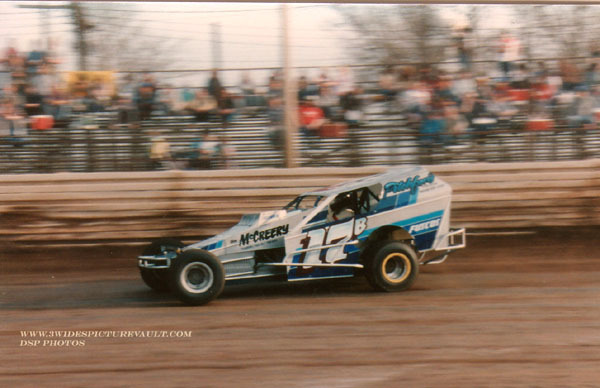 Phil was winner in almost everything he sat in (his SBM, LM) Also replaced Sammy Beavers in the cockpit of Charlie Kingman's Late Model when Flemington was (dare I say it )? Paved.